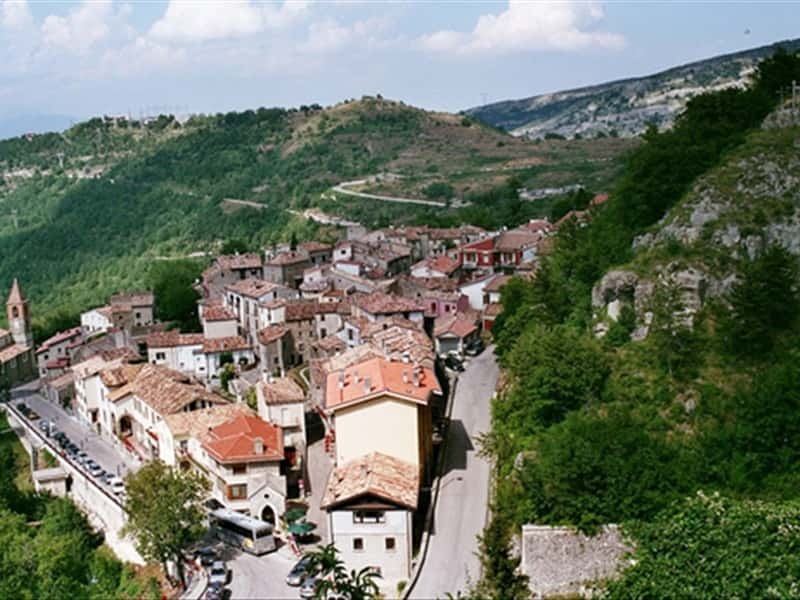 A mountain village in the province of Teramo, entirely within the National Park of Gran Sasso and Monti della Laga, Pietracamela has very ancient origins and preserves its medieval characteristics with cobbled streets, old fountains and narrow alleys surmounted by small arches. The village was developing after the year 1000, to defend and shelter the surrounding populations from the continuous Barbarian invasions. In 1526 Emperor Charles V ceded the municipalities in the Valley, under the Spanish domain to the Marquis De Alarcon Fernando Mendoza, who ruled here with his heirs until the abolition of feudalism. - the district of Prati di Tivo, the best equipped ski resorts of the Gran Sasso, located at 1450 meters above sea level with its 6 km of downhill ski tracks and ski trails. This town web page has been visited 24,632 times.